Hi who feel gamers, certainly familiar with Steam program. One of the community platforms of gamers and service providers of digital game sales is not flawless. Have you ever felt the 'slow' of this default browser Steam? Or even Steam is very slow in downloading games, and not comparable to your actual internet connection? Here we submit the Tips and Tricks Steam especially speed up the browser and download his game. Steam built-in browser often feels very slow, loading that takes longer than using a desktop browser may make us lazy to browse on Steam. Though this browser is often used to explore the Steam Store, profile page, and in the game overlay which is a feature of Steam to provide ease of browsing the gamers while playing the game. But who likes the delay when browsing? Although most people are forced to surf the browser Steam, there is a trick to outsmart the delay in the browser Steam so browsing in Steam can be quick as fast as desktop browsers like Chrome or Firefox. This delay problem seems to be due to Steam incompatibility with the Automatically Detect Proxy setting set to Enabled by default in Windows. This is a rarely used Compatibility setting so it can be Disabled safely. To set this option, go to Internet Options settings, more easily you can search by pressing Windows key and search Internet Options and run. Click the Connections tab, then click LAN settings. Uncheck the Automatically detect settings command here, click OK to save it. Can be ascertained, you are usually experiencing delay and 'slow' when browsing, this time there is no more delay. But if you are experiencing problems during this change, you certainly can restore the settings above to the original. Every time you download games from Steam, the program will search for download servers closest to your location. However, sometimes Steam does not select the server exactly with your location. 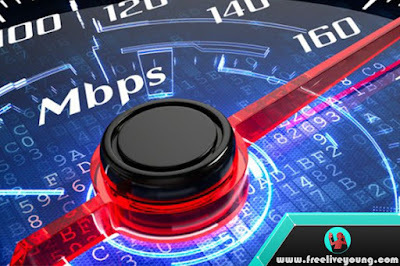 If by chance when traffic is high because there is a Big Sale game event or a game release day, you can also download faster by choosing a server that is not too crowded. The trick, open Settings on Steam Menu, click on the Downloads tab and select the location of the nearest server download in the Download Region. You also have to make sure the bandwidth settings are not set limited.